This is a lithograph print from my watercolor. 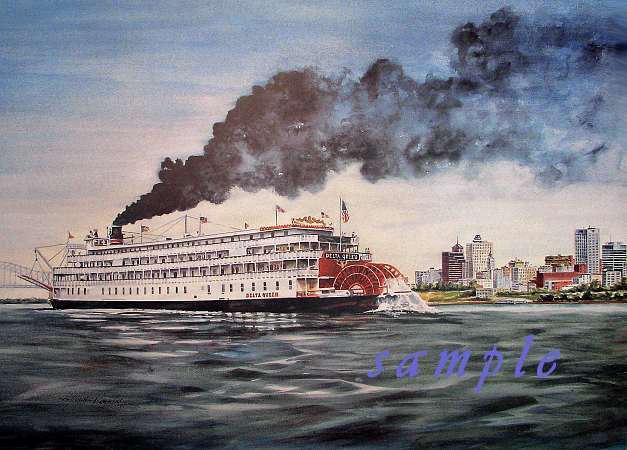 This scene is of the Delta Queen passing Memphis, Tennessee. The print size is 19 x 29 inches. The print is signed & numbered.